in or near Witsand, Cape Overberg in the Western Cape, South Africa. The Witsand Festival kicks off on the Friday evening in the Beer tent with live music, dancing and a show and continues on Saturday morning with the Vlakte Marathon (the last qualifying marathon to enter the Comrades). There will be lost of stalls and entertainment. Live show and entertainers on the Saturday while you are relaxing in the sun. Enter as a family and group for the Potjiekos competition, Lots of prizes to be won. Bring the whole family. While Dad is running the Vlakte Marathon, mom can relax and listen to live music, whilst the kids are being entertained on the jumping castle and other entertainment. 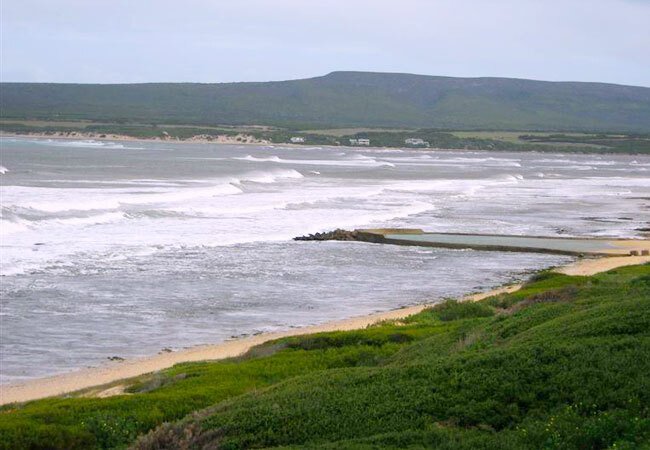 Witsand is a beautiful town situated at the mouth of the Breederiver and is known for its stunning beaches, whales and some of the best estuary fishing in the country. The Langeberg mountains provide a beautiful backdrop and is well worth to visit. Nella se Winkel and Sands Supermarket will cater for all you food supplies during your visit. Bring the whole family and just pack your clothes and come and enjoy a relaxing weekend in Witsand. Visit our restaurants; Anchorage, River Breeze, Sebastians and Pilli Pilli restaurant for early morning breakfast. We would like to see you there!